The 500 Chevaux shows rich, concentrated aromas of blue and black fruit: blackcurrants, blueberries, and blackberries that evolve into fresh blueberry pie with notes of violet and fruit compote. 2013 was one of the best growing seasons in recent memory. A mild, dry spring brought early bud break, helped with canopy vigor, and created ideal conditions for flowering and a large fruit set under sunny skies. With the exception of one heat spike in late June/ early July, temperatures were consistently in the zone for optimal development, resulting in notably healthy vines as fruit went through veraison and started to ripen. Some early thinning was required to decrease crop size, as the grapes ripened slowly and evenly. There were two brief mid-September rains but they had virtually no impact on the grapes, and clear, breezy weather followed. October’s cooler, sunny weather allowed some grapes—including ours—to linger, building phenolic concentration and ripeness while sugar levels remained steady. We were ultimately able to pick at perfect ripeness, with excellent flavor development and just the right balance of crisp acidity and firm structure. Rallye for Classic Cars. This wine is a high-horsepower Cabernet, meant to be sleek, powerful, and fully able to go the distance. The 500 Chevaux shows rich, concentrated aromas of blue and black fruit: blackcurrants, blueberries, and blackberries that evolve into fresh blueberry pie with notes of violet and fruit compote. Sweet, spicy oak suggests toasted barrels, espresso and dark chocolate, with intimations of savory cedar and cigar box unfolding in the background. On the palate, the wine is powerful and large-scale, withlayers of concentrated, dark fruit. The structure is firm, the tannins are radiant, and the mouthfeel is sumptuous. 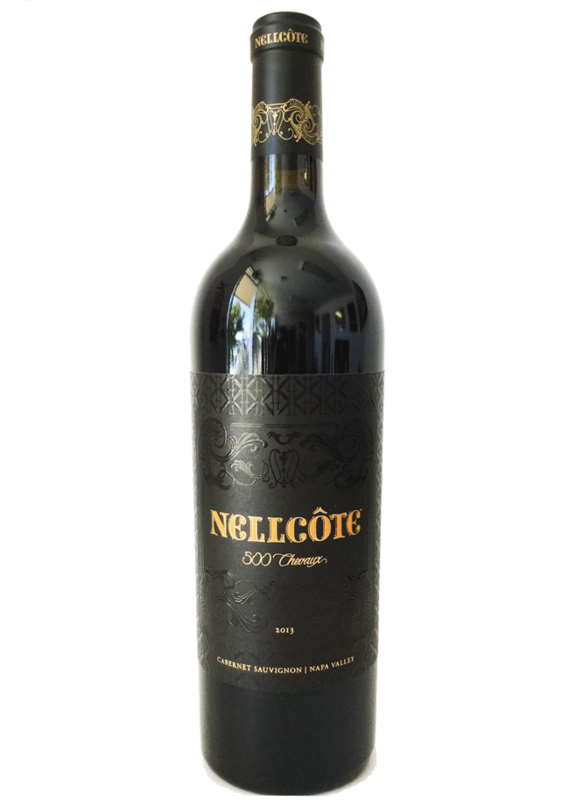 The wine finishes with length and grace, showing oak spice, rich berry fruit, cedar and dark chocolate. Uncommonly concentrated and perfectly balanced, this Cabernet has the heart and the substance to age gracefully, well into the future.